Over the past two decades, India’s Look East Policy (LEP) has served as New Delhi’s principal foreign policy instrument in the Asia Pacific region. Originally conceived as a strategy for closer economic relations with Southeast Asia, the policy has deepened India’s political and institutional linkages in the Asia Pacific, burnishing its credentials as a dominant engine of regional growth. 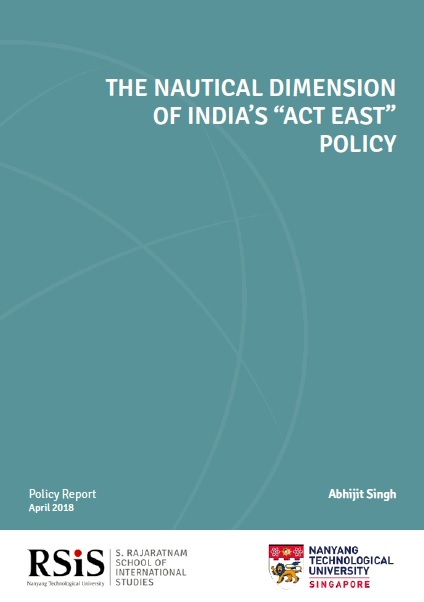 In November 2014, when Indian Prime Minister Narendra Modi rechristened the LEP as the Act East Policy (AEP), many saw it as a defining moment in India’s Asia policy. As a political strategy, the AEP attempts to inject vigour into India’s regional diplomacy, emphasising New Delhi’s desire for closer economic and security relations with its Asian neighbours. While the Modi government continues to prioritise political ties within the South Asian neighbourhood, the AEP signals a more action-oriented policy towards the Association of Southeast Asian Nations (ASEAN). In seeking closer political interaction with its eastern partners, New Delhi has expanded the scope of its economic, security, and connectivity endeavours across a wide arc in the Pacific littorals, including Japan, South Korea, Australia, and the Pacific Island states. A key component of the AEP has been India’s maritime engagement in the Asia Pacific. Through regular ship visits, naval exercises, and maritime capacity building programmes with partner navies, the Indian Navy has striven to lift New Delhi’s geopolitical profile in Southeast and East Asia. Regular warship deployments in the Bay of Bengal and the South China Sea have stressed the nautical dimension of Prime Minister Modi’s “neighbourhood-first” policy, even as high-end bilateral and multilateral naval exercises in the East Asian littorals have exemplified India’s maritime outreach in the Asia Pacific region.